Speaking to Wasafi TV, the singer has confirmed that he plans to wed Kenyan radio presenter Tanasha Donna on February 14, 2019. 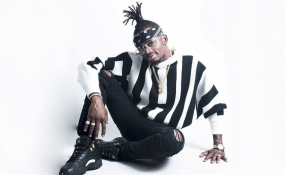 If you thought love-struck bongo flava star Diamond Platnumz was joking about getting married to his new girlfriend Tanasha Donna, then you are in for a shock. The musician has now announced that the next Valentine's Day will be the date for their wedding. Last week Diamond announced that he is planning to get married to Tanasha. He however fell short of giving dates of the planned wedding. However, speaking to Wasafi TV, the singer confirmed that he plans to wed Tanasha on February 14, 2019. "Nimepanga harusi yangu iwe Valentine mwaka ujao. Valentine itakuwa siku ya Alhamisi kwa hiyo naichukua Alhamisi, Ijumaa, Jumamosi mpaka Jumapili, harusi yangu. So far iko hivyo, ikitokea kuna kitu tofauti, nitabadilisha, lakini naitaka sana kuwa mwaka ujao," said Diamond. Diamond and the NRG radio presenter have been secretly seeing each other for almost a month before showing up in public as a couple for the first time, last Saturday when the singer performed at Thika. The singer went on to state that he is now ready to settle down after having numerous love affairs. "Sababu nina kila sababu ya kuoa, imetosha, nimefanya vitu vingi sana yaani doooh! So I need to settle down. Nimekuwa mtu ambaye nime invest kwenye biashara nyingi, nina TV nina Radio, digital platform, Diamond Karanga, record label. Nahitaji mwanamke ambaye atanisaidia kuvihandle hivyo vitu kwa ajili ya kupanga maisha ya kesho," he said.